The least glamorous of all of the rooms…. the laundry room. We spend more time in there than we’d like, but hey, the laundry doesn’t do itself! 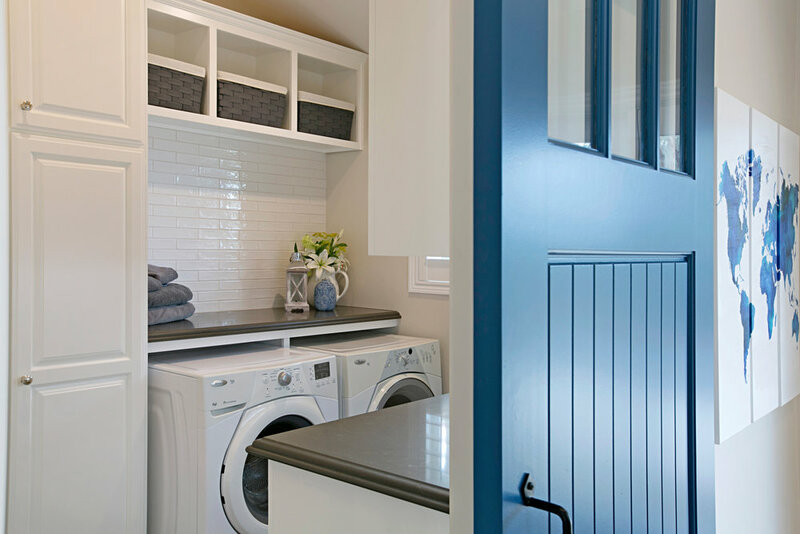 Laundry rooms have come a long way from the sad, tucked away rooms that many of us grew up with. They can be more than places to clean clothes. They can be fun, inviting places for activities such as caring for pets, sewing, doing DIY projects, wrapping packages, gardening and more. Having a sink in the laundry room makes a lot of sense. They are great for hand-washing items, soaking, mopping, post-project clean- up, and more. 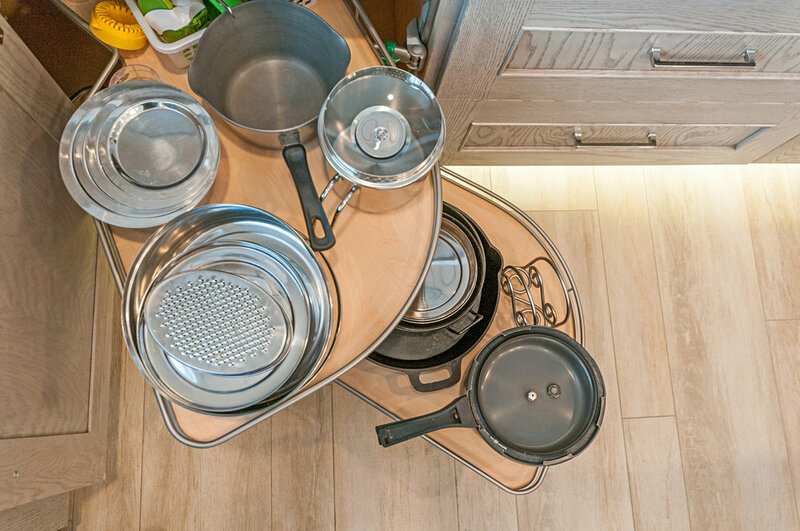 Plan to have plenty of counter top space close to the sink for set down, sorting, folding, crafting, gardening, and other work tasks. Space was at a premium in this laundry so the counter top was too shallow for a regular sink and faucet. We used a stainless steel farmhouse sink and a wall mounted faucet to save space. Adding a counter top over a side-by-side washer and dryer puts wasted space to work. Trying to prolong the life of that favorite t-shirt, protect the investment in that overpriced work out wear (you know the one we mean), or care for your unmentionables? Don’t put them in the dryer! There are plenty of wall mounted drying racks on the market to help add valuable space. You can never have too much storage space in the laundry room. Ever. 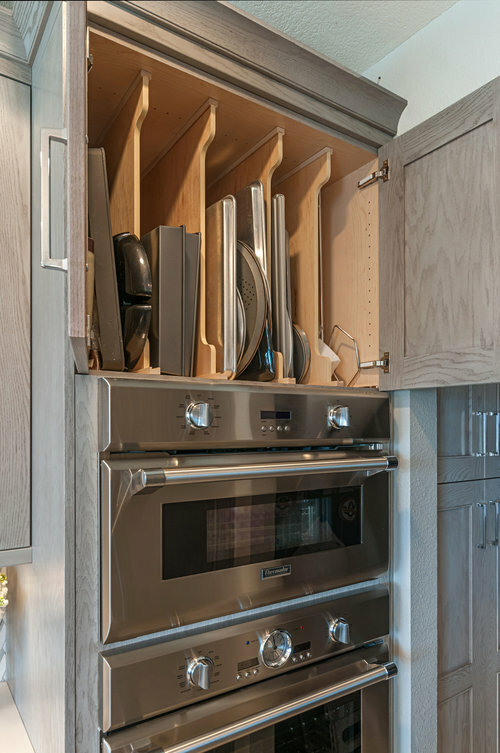 If you are the kind of person who needs some visual peace, hide everything away in cabinets. If you like items close at hand and in plain sight, consider open shelving or cubbies. Maybe it makes sense to have a combination of both? 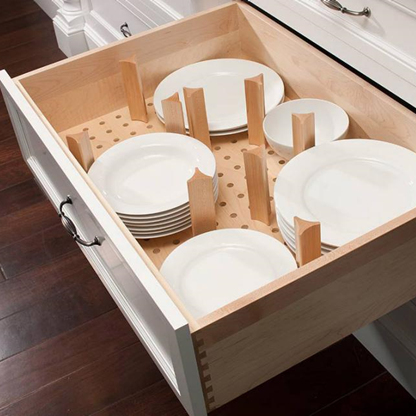 So, plan to add storage above sinks, counter tops, washers/dryers, benches etc. 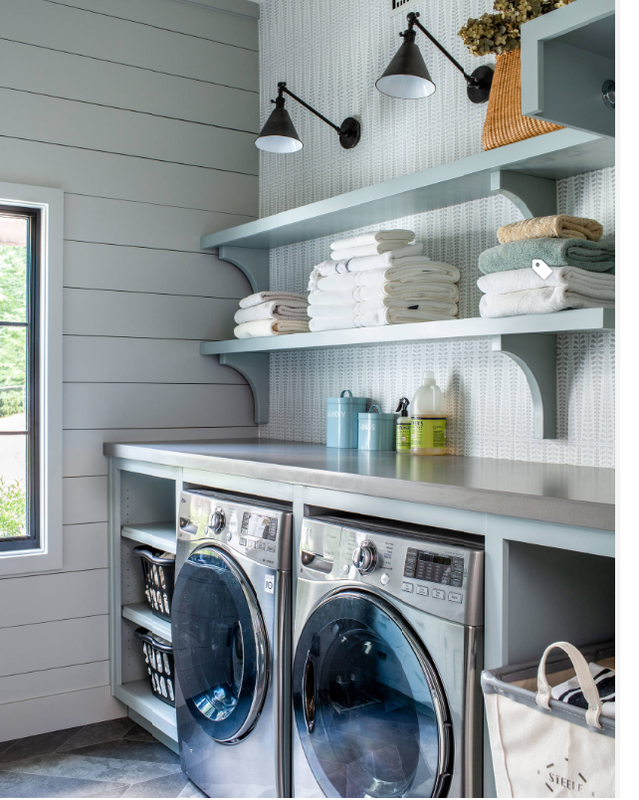 Drawers below and cubbies and cabinets above maximize the organization of this laundry/mudroom. 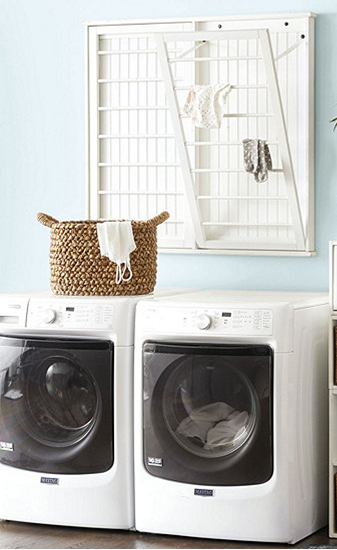 Fresh and clean are two vibes everyone wants in a laundry room. A light, bright, color scheme and easy-to-care for surfaces will go a long way to achieve this. There’s nothing better than sparkling white with pops of fresh color help to you get that “just laundered” feeling. 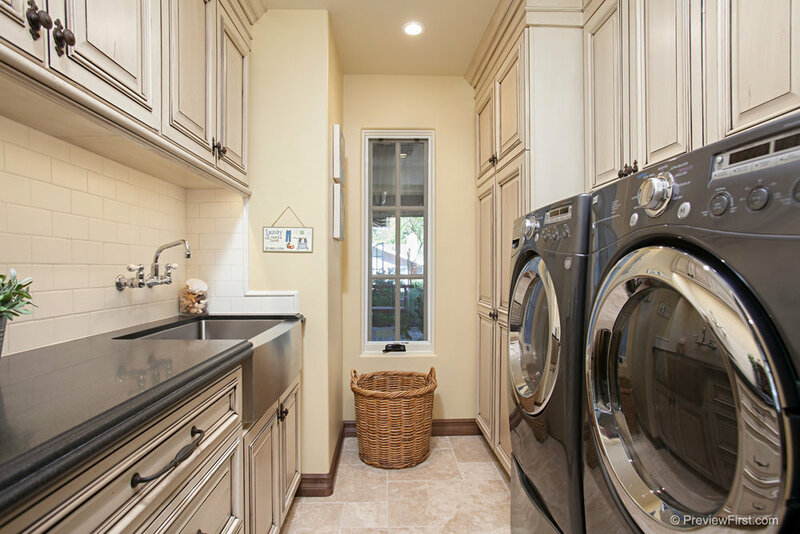 If you are thinking of making changes in your laundry room, have a great plan in place before getting to work. 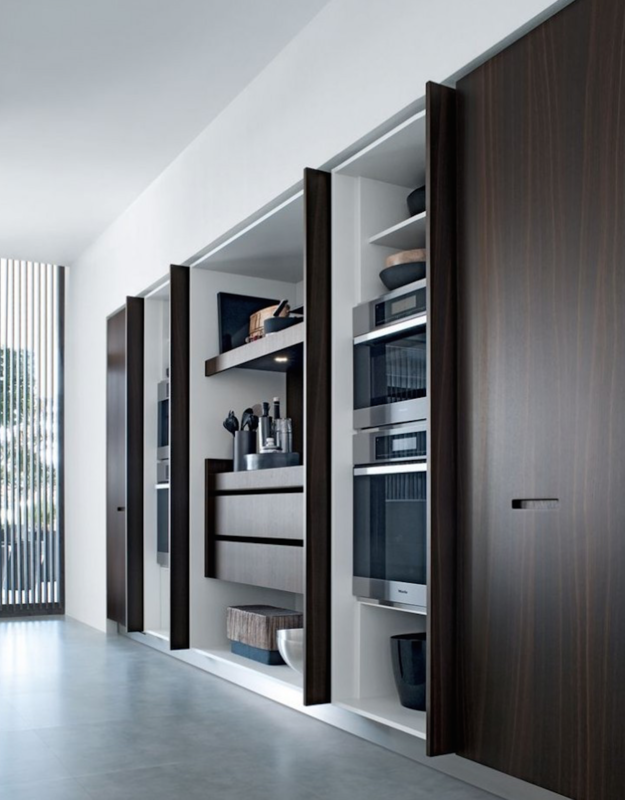 Space planning, drawings, correct finish and product selections save time, money and headaches…. not to mention giving you a space that makes you almost happy to do laundry. As our lives get busier, our homes become the place where we retreat, relax, and restore ourselves. There’s no space where that is more important than in the first room you see in the morning and the last room you visit at night - the master bathroom. Take a look at this remodeled master bathroom. If you are considering a remodel, it is an example of some ways to rethink your bathroom and turn it into luxurious retreat. Take down those walls, remove the dropped soffits and weird niches. Open up the space so the light flows and makes the room feel bigger. If you are short on space and only use the tub occasionally, take it out and enlarge your shower instead. Nothing says luxury like a large shower. You don’t have to stay in a five-star hotel to have a wet room experience. Make the shower part of the room with no threshold or barrier to step over. Continue the same floor tile throughout, sloping to a linear drain and creating an uninterrupted visual flow. Check with your tile supplier or designer to ensure that the tile is rated appropriately for wet areas. Chose a light, bright color scheme. Add some contrast to give the space a fresh look. Don’t forget a variety of textures and surfaces. A little sparkle…. glass, mirror, chrome/nickel…..can go a long way to energize and lighten a space. Less cleaning is the greatest luxury of all! Look for easy to care for surfaces. Larger format tiles with rectified edges (90-degree edge details) allow tiles to be set close to each other and minimize grout lines. Engineered stone, often called quartz, is a low maintenance choice for counter tops, bench seats, window surrounds etc. When a bathroom is demolished, that’s the perfect time to think about Universal Design; design that accommodates all users, whatever their abilities and stages of life. Adding bracing for grab bars while the walls are open makes sense. 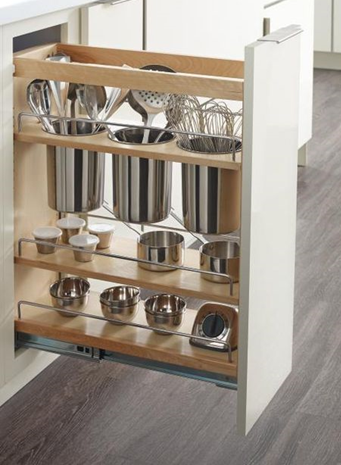 Lever-type handles are easier to use than twist-type knobs or handles, and they’re especially convenient for kids or anyone with limited dexterity. Hand held shower heads attach to a flexible hose that makes them easy to use while sitting. They’re also good for cleaning the shower stall or bathtub….and kids or pets! Creating your own luxurious master bathroom can be an exciting project with a great payoff…..somewhere to begin your day on the right foot and to relax at the end of the day. FDK Design is thrilled to win an NKBA Award. This fun powder room may be short on space, but it’s obviously not short on fun or style! Read all about it here….. 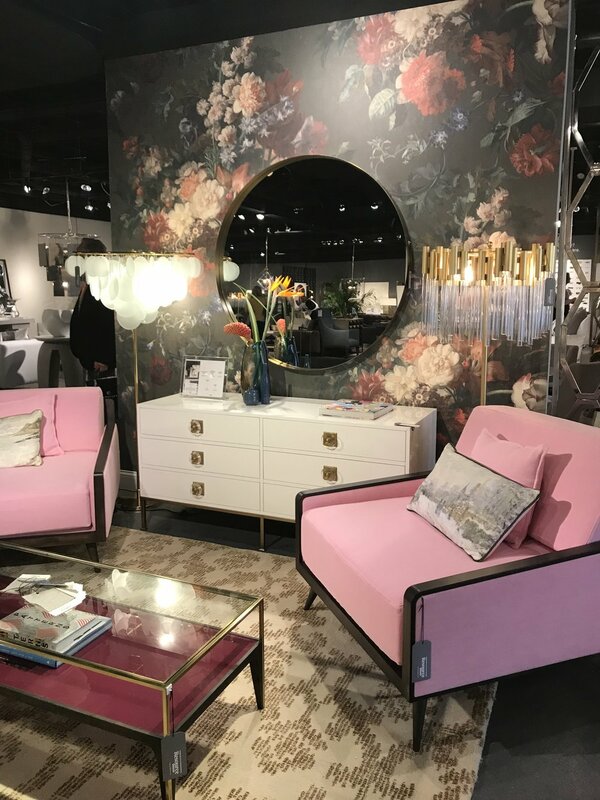 I just spent a few days at High Point Market — the largest home furnishings industry trade show in the world! It was great to get out there and see what sort of trends are up and coming from manufacturers. On display were pieces that won’t be released to the public for another six months or so, which means this is a great opportunity to get ahead of the game. Here are my top three take aways. Pink with dark green, pink with black, pink with turquoise...... basically pink with anything! Organic, natural items were everywhere, but with a fun twist. Statement lighting pieces were everywhere.....bringing the drama! FDK is proud to be selected as the winner of the National Kitchen and Bath Association's "Star Design Award 2017" in the category of Large Kitchens. What an honor to be chosen to be acknowledged by professionals in the bath industry! Take a look at the winning project here. Each year Houzz performs a survey and analysis of community of over 40 million monthly users and reveals the top-rated home remodeling professionals and most popular home designs. FDK Design has been announced as a "Best Of Houzz 2017" winner for Customer Service. 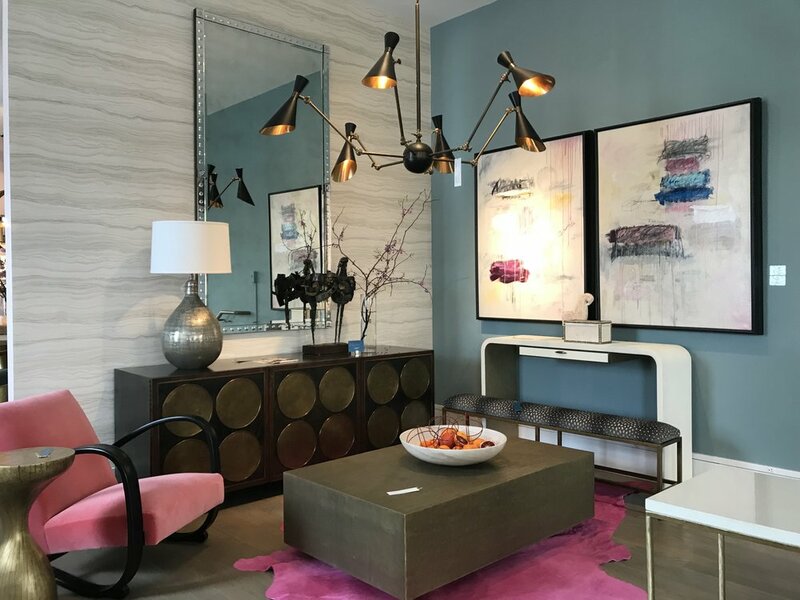 “We are so pleased to award Best of Houzz 2017 to this incredible group of talented and customer-focused professionals,” said Liza Hausman, vice president of Industry Marketing for Houzz. “Each of these businesses was singled out for recognition by our community of homeowners and design enthusiasts for helping to turn their home improvement dreams into reality." The National Kitchen & Bath Association (NKBA) is an excellent source of support and education, not only for kitchen and bath industry professionals, but for homeowners also. If you are considering remodeling, you can use them as a resource for ideas, guidelines, and to seek the help of qualified pros. 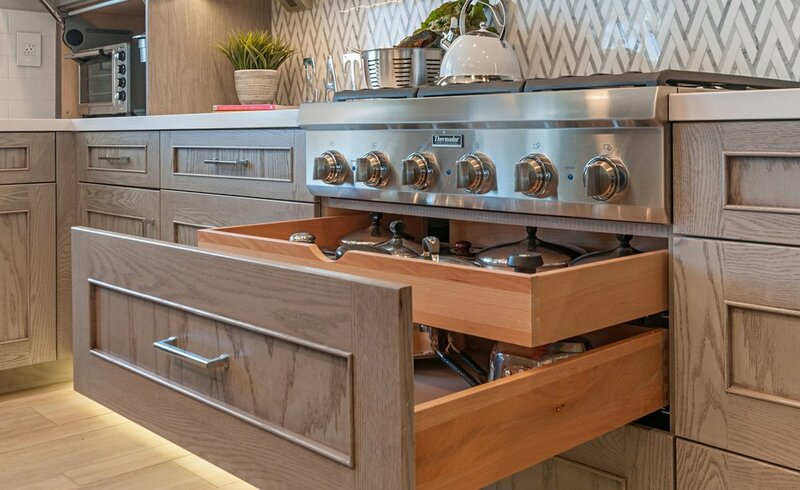 The NKBA envisions a world where everyone enjoys safe, beautiful and functional kitchen and bath spaces. It's a common story.....a quaint 100+ year old Craftsman Cottage that lived through a sad 1970's remodel. It needed some TLC to give it the character it deserved and to give the clients all the amenities of the twenty first century. This kitchen was featured in the November 2013 issue of San Diego Home/Garden Lifestyles as winner of the National Kitchen and Bathroom Association Small/Medium Kitchen Star Award. The goal of every project is to create a beautiful, functional space where the personality of the client shines through. This home in Encinitas a a great example of that. The wife is of Japanese descent and she and her husband travel extensively in Asia. The husband loves his tropical outdoor space and wanted to bring it indoors. Here are just a few details inspired by both of them. We designed this pantry to look like an antique piece of Japanese furniture. The glass tile from Walker Zanger echoes the bamboo growing outside the window. 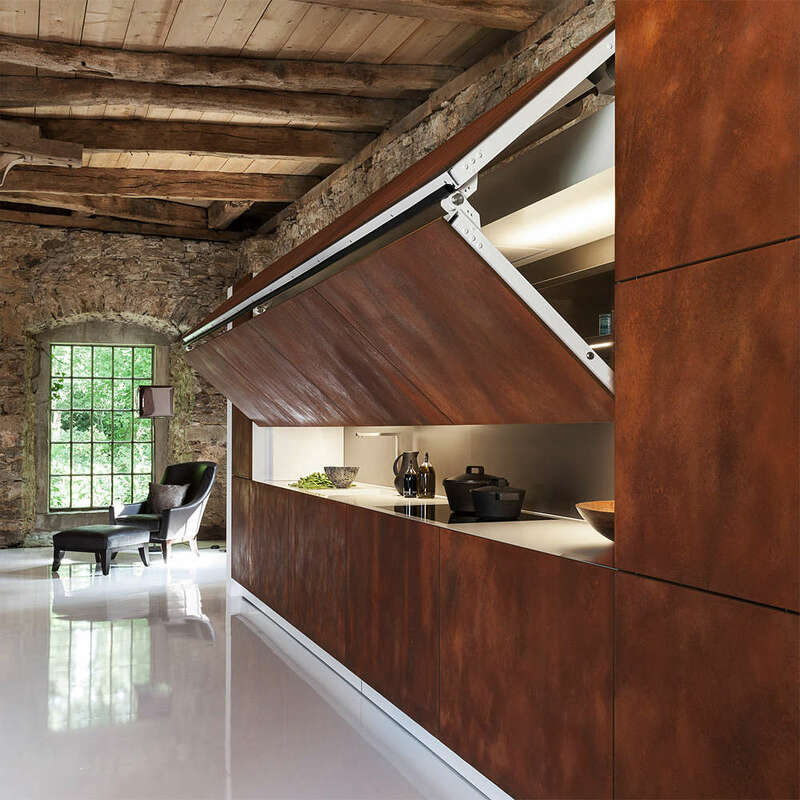 The ceilings were removed, the beams were exposed sandblasted to give the space a natural feel. The regular geometric pattern of these beautiful tiles balance the random, flowing grain of the teak cabinetry. All of the little things add up to create space that is uniquely theirs. Small bathrooms may be tight on space, but it doesn’t mean that they have to be short on fun. Just take a look at the two bathrooms of this La Jolla beach condo. With no option to move walls or relocate plumbing, we worked with what we had. See how it all turned out……. We didn’t have to go too far for inspiration. We just had to step outside the door and look down the street! This beach rental property is yards away from the surfers’ favorite: Windansea Beach. The client loves the blue-green color of the waves as they break. Luckily we found an accent tile that captured that perfectly! In each bathroom we found that one special piece to set the tone. In the guest bathroom it was the weathered, beachy vanity that we found online that perfectly complemented the tile. In the master bath it was the reclaimed wood that was used to create the vanity and a towel shelf. To make the tiny 5 foot by 6 ½ foot guest bath feel bigger, we kept all of the walls white and painted the ceiling to a turquoise color match the vanity. Using grey pebble tile in the shower and grey weathered wood look plank tile throughout the condo added to the beach feel. The niche and a hotel towel rack solve some storage issues. 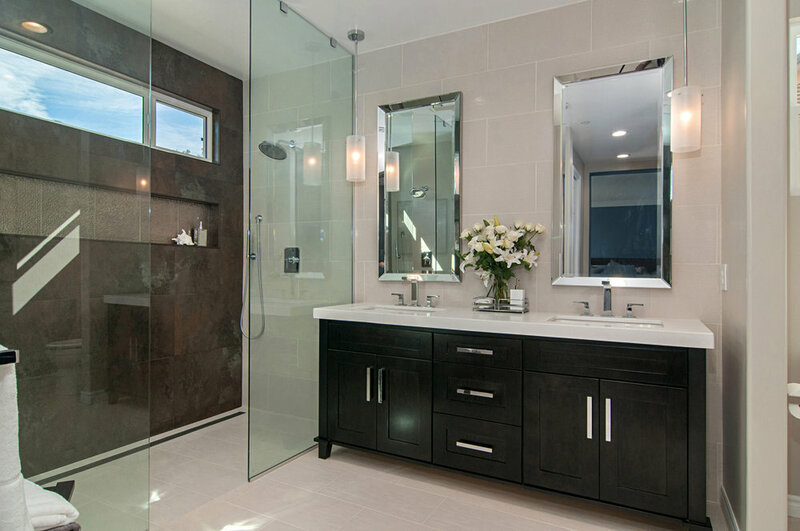 Of course every bathroom needs a little sparkle …..mirrors, glass, and polished chrome fixtures do the trick. And every bathroom a little luxury….a seat in the shower does just that.